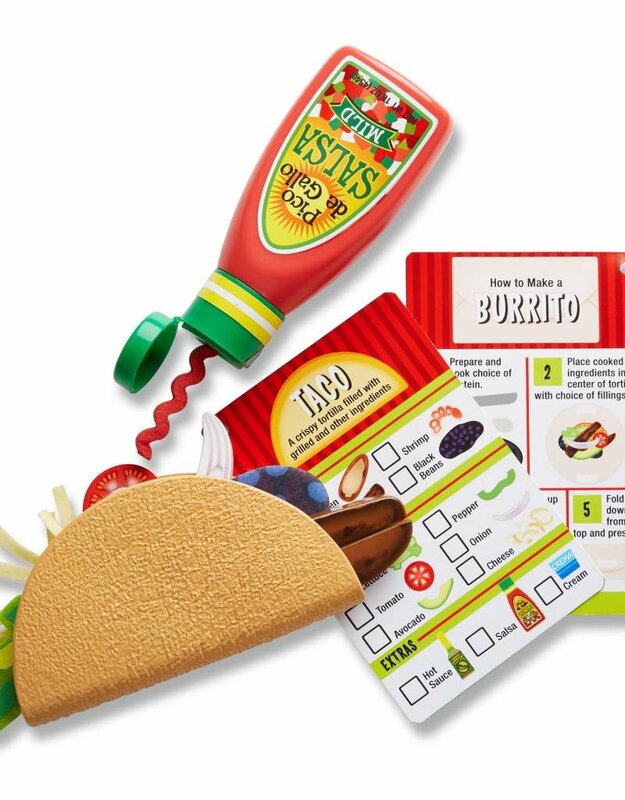 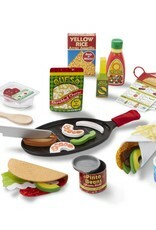 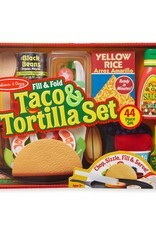 Create pretend play tacos, burritos, fajitas, and more! 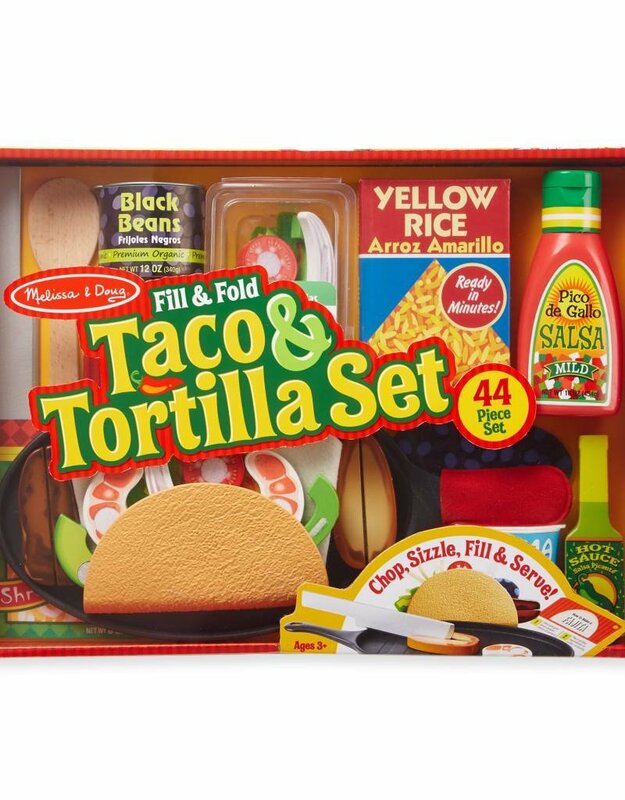 Choose play food ingredients, pretend to grill sliceable wooden ingredients on the skillet, fill a felt tortilla or a durable hard taco shell, and serve with a choice of play toppings! 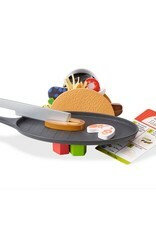 The 43-piece set includes three reusable, double-sided menu and recipe cards, and a wooden knife and spoon. 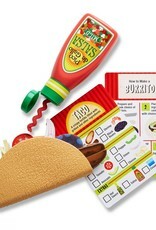 Fun play food sides, fillings, and toppings include sliceable proteins and vegetables, felt rice, beans, cheese, and crema, a hot sauce bottle, and a salsa bottle that "squirts" string. 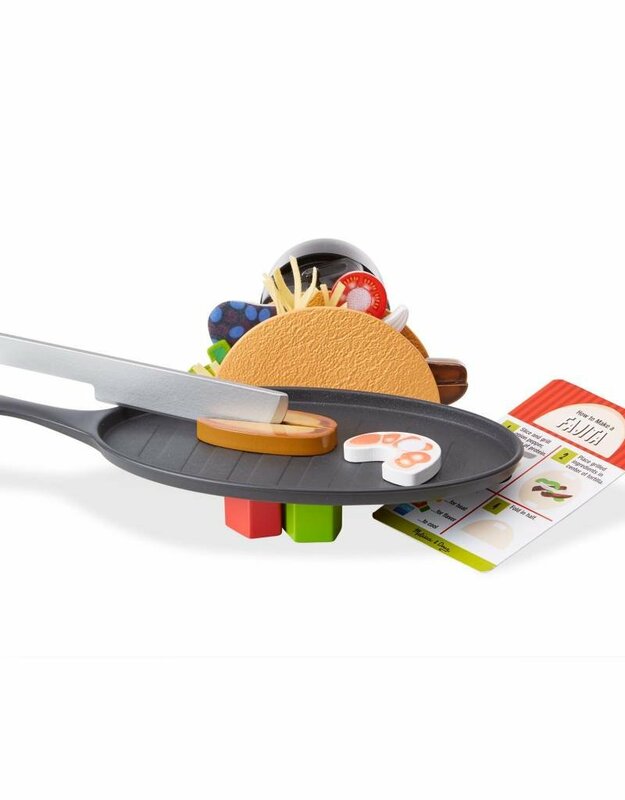 Kids three and older will love choosing, chopping, grilling, and filling to create play versions of some of their favorite meals!